Much of Entertaining Welsey Shaw takes place in the small New York town of Callicoon. And I mean small. The population of the official whole town is 3057 according to the latest census, but the main concentration of that, or “census-designated place,” is just 167, down from 210 in 2000. 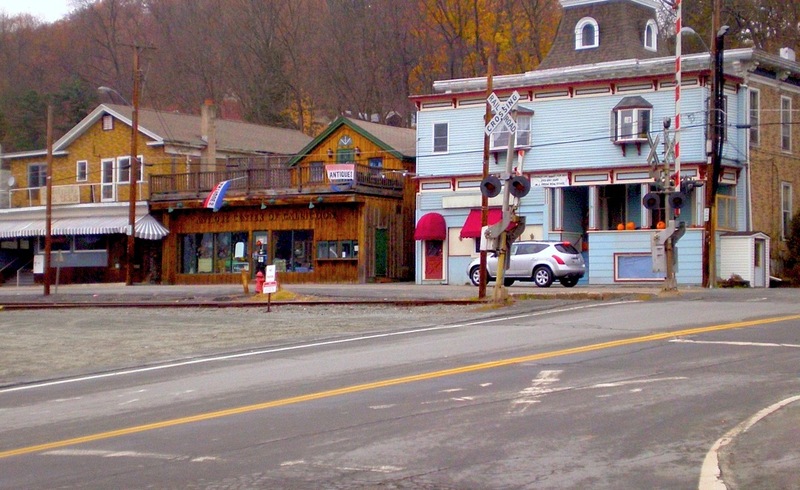 Callicoon is located on the edge of the NY-PA border, about two hours northwest of Manhattan and right on the Delaware River. It’s an escape. 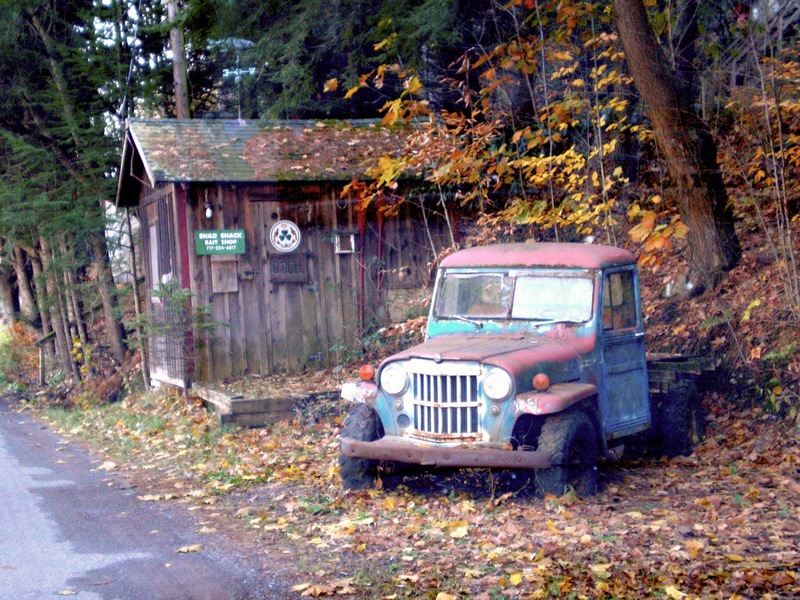 Sort of an artists colony that never took off, Callicoon is delightfully away from it all. Until a couple years ago they didn’t have cell phone service. Many people still don’t have TVs or high-speed Internet. Want to know where dial-up is alive and well? Come to Callicoon. It was featured in the opening scene of the movie TransAmerica, I’m told. (I haven’t seen it, and can neither confirm nor deny.) I love this place. It’s got a vibe all its own and it’s gorgeous in the fall. 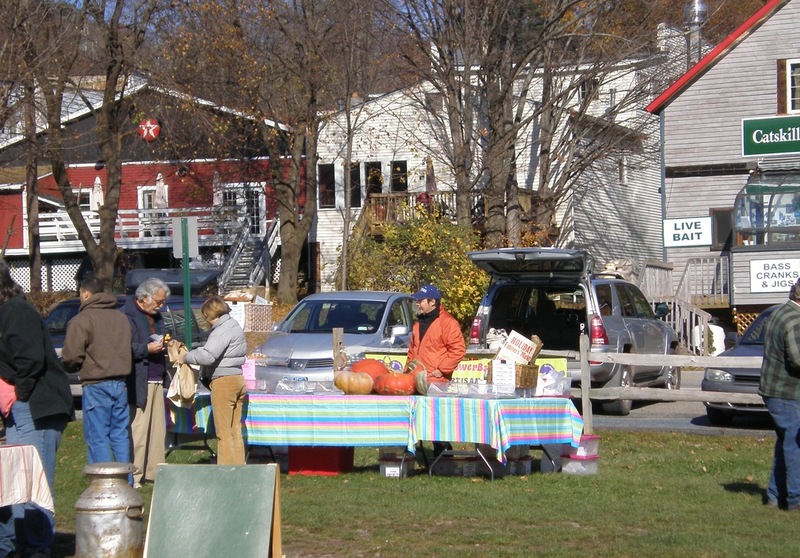 There are farmers markets and pot lucks, and a sense of community. Everybody knows everybody pretty much. It’s quiet at night, and you feel safe. There are no first-run movie theaters, no video stores, just one supermarket, and only a handful of restaurants. (They’re quite good, though.) There’s lots of nature. It’s particularly breath-taking in October and November. I live in California, and we don’t really get a proper autumn. I miss the golden leaves, the red trees, the crisp air, the frost, the mist, the chill in the air. Callicoon is a very patriotic town, but it strikes me, from my limited experience, as a mellow kind of patriotism. 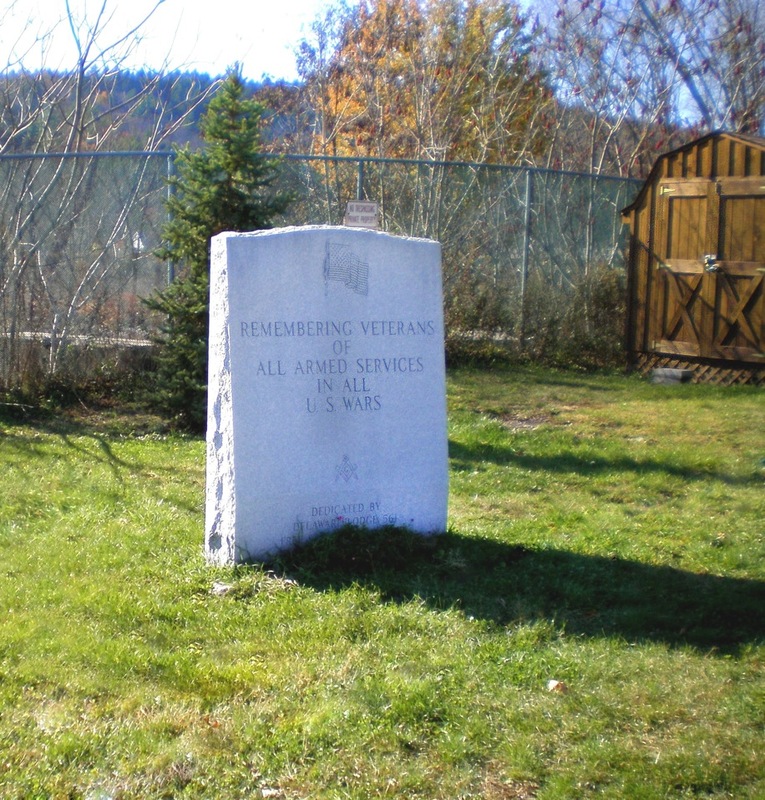 While strolling along the grass one day, watching people walk their dogs and commune with nature, I came across this monument honoring the fallen veterans of all wars. I was impressed enough by the site to specifically mention it in my story. The town was named Kollikoonkill by the first settlers. It means “cackling hen.” Early Dutch hunters trained their rifles on the abundant turkeys in the region. They came for the good eats, and stayed for, well, maybe for the absence of wifi. 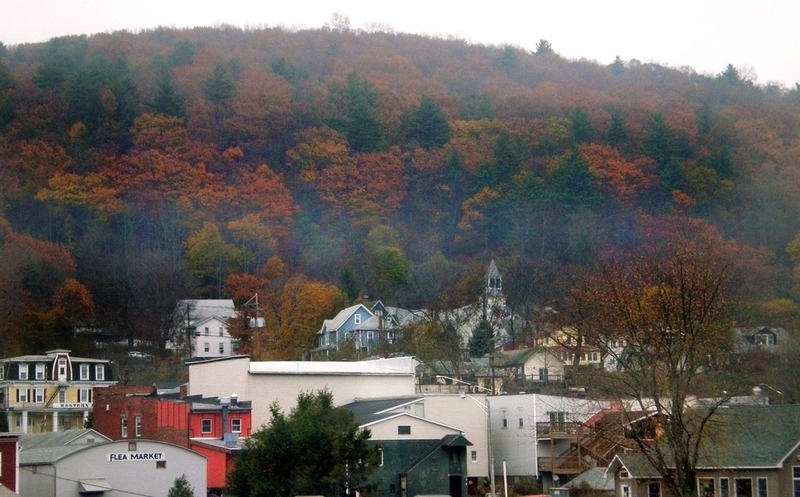 Callicoon boasts the country’s only hydro-powered radio station, WJFF, 90.5 FM. Well, actually it’s located in next-door Jeffersonville, but it’s close enough for Callicoon to claim some credit, I guess. Power comes from a dam 50 feet away adjacent to Lake Jefferson. In my novel, my main character Daniel fills in there occasionally, doing classical music shifts. In reality I’ve never seen it, but I did do similar shifts at similar stations in my college days. That’s how I first heard the incredible Kazzrie Jaxen, a fiery pianist of wit and wild imagination, who lives in Callicoon. The Catskill Mountains and their many spas are nearby. There are nice hotels and plenty of places to pamper yourself, though I’ve never done it. The area is so scene a whole 19th century school of nature painting, the Hudson River School, derives from it. 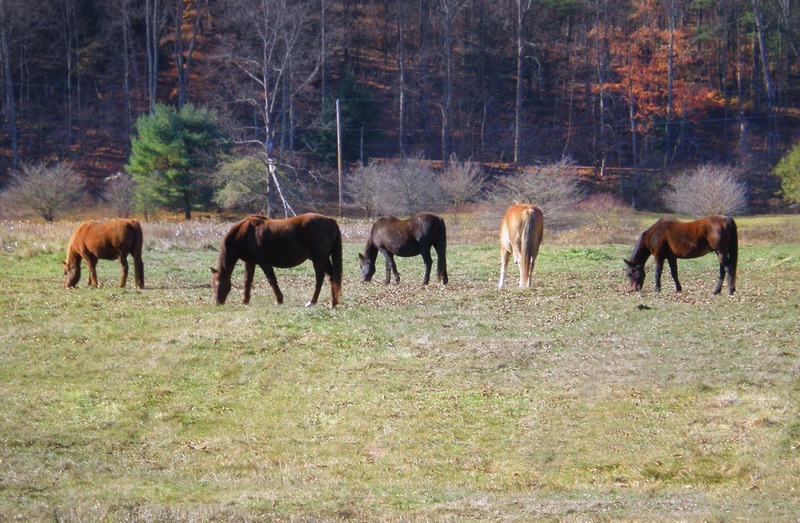 Some of those artists worked in and around Callicoon, and perhaps there are artists who still do. The Hudson River School is noted for its depiction of humans and nature in realistic settings co-existing peacefully rather than being in a struggle. This is the philosophy around Callicoon and its environs in general. People here are very in tune with nature. 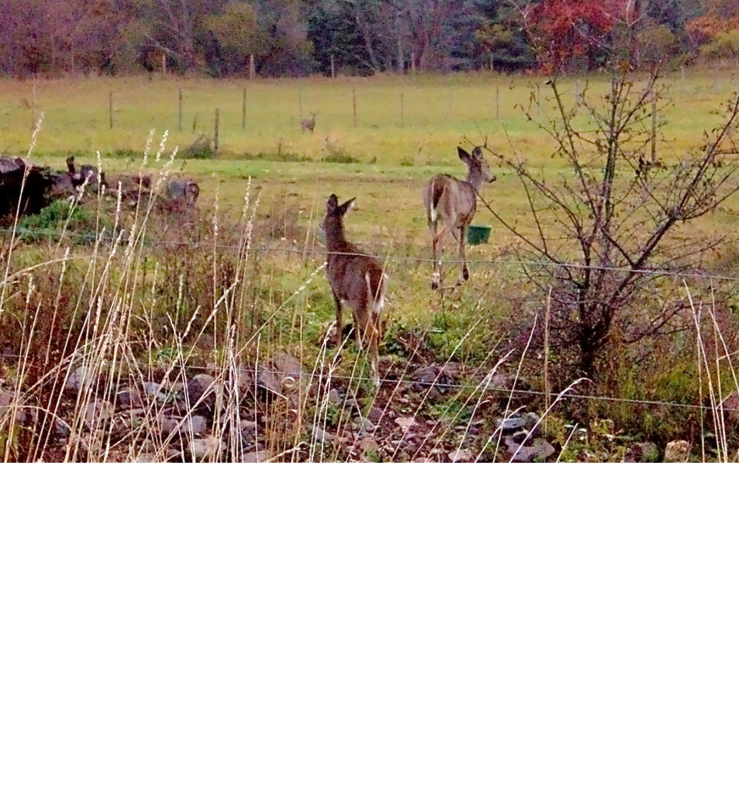 They are deeply concerned that the currently active and popular fracking interests, which are buying buying up properties, will start to pound oil and gas out of the ground, destroying much of the area’s natural beauty. Let’s hope the environmentalists win. Especially since natural gas doesn’t seem like it’s going to be the big economic boom that was forecast. I did draft after draft after draft. After draft after draft after draft. Spend months on it. One paragraph, about a hundred words. And none of them seemed right. Rarely have words failed me the way they did when I tried to write the back cover “blurb” for my novel, Entertaining Welsey Shaw. Nothing seemed right. Summing up anything in a short space is hard. Summing it up to make people as excited about it as you are—to make them hopefully drop whatever they are doing and grab their Mastercard—that’s a lot harder. Doing all that and not telling too much of the plot and yet teasing out enough to make your short description memorable and unique—sans cliches—well, climbing Everest might be easier. Easy when you’re dealing with car crashes, fires and waterskiing dogs. Tough when you’re trying to describe an upmarket novel that doesn’t have your typical plot hooks—nobody dies, there’s no violence, and no one wakes up from a coma to discover their lover waiting at their bedside. No spells, no quests, no dystopian futures with cold pizza and bad TV. Like I said, not easy. I had to plug it while being honest. Avoid hyperbole…and the impulse is always to start out writing hyperbole. You find yourself using those tired words and phrases unforgettable, hilarious, exciting, page-turning. Then you backspace over them, only to replace them with more tired phrases that really don’t describe your book. You begin to feel that only your book can describe your book. But you can’t fit your book on the back cover of your book. The thing is, it gets done. Every book that comes out has back copy, and sometimes flap copy (if the cover has flaps). So you go to your bookshelf to see how others did it. This is a good idea. I chose one particular novel I love that also has very little of the usual hooks and handles most mainstream books have. Plus it is one of President Obama’s favorite books too, which doesn’t hurt. How’d that novel get described? Was it a fair description? How much was given away? Was the copy mostly about atmosphere and expectations or was a lot of the mechanics of the story given away. I studied it, but it ultimately didn’t help me a lot. I read some more, and while I gleaned some elements to use (and pitfalls to avoid), there was still no magic bullet solution. So I went back and wrote some more. I never discarded so many drafts, never felt so impotent as a writer before, all the while knowing this was the most important writing in the book, because if this didn’t appeal to potential readers the stuff between the covers would never get red. Time for a cognac. A de Fussigny. I’m telling you, it’s the best. I wish I had a bio like that. Who needs to worry about selling the book based on its content? The selling point is you’re buying a little piece of Mr. McGenius. But I had to buckle up and take another whack at that blurb. Cognac finished, off we go. Dig deep. What’s the novel really about? What do I want the reader to take away from it? What would I like the reader to tell his or her friends? Plus, there aren’t many places to go after cognac. I don’t do hallucinogens or illegal pharmacological substances. So my options for inspiration are getting limited. I find myself weighing every word, because I have so few in the small space. That’s a good thing. It forces me to find not only fresh but efficient ways of seeing things. And after about three months and maybe 50 drafts, I have copy! Bottom line is I recommend anyone start thinking—really thinking—about their blurbs and flaps months before publication. Be prepared to write and rewrite and rerewrite. Because it’s tough, the toughest writing you’ll do for your project. You’ll also really learn what the important elements of your story are. That will help when you’re talking about your project, from casual conversations at parties and get-togethers to talks you may give to pitches to potential agents or publishers at writers’ conferences. You only have about 15 seconds to really nab ’em. In blurb-speak, that translates to about 20-30 words. And just to reiterate, because several people have asked me, Entertaining Welsey Shaw is now out, available on Amazon, Barnes & Noble, Powells, and just about everywhere else they sell books (if you ask nicely). You can also either get it, or ask them to order it, at your local indie book store. In fact, there’s a list of such stores right here. Whatever way you choose, thanks to the internet, it’s easy to get. Secrets, you hear me, secrets! And I agree. I know things, big things. Things right under our noses, only I’ve assimilated and made sense of them and now I’m bringing them to you, wrapped in a nice candy shell of good writing, witty dialogue and poignant moments. After all, isn’t this why anyone writes? Actually no. The genre writers, I don’t think, care too much about this sort of thing. They write mainly escapism. I know I’ll get arguments—there are lots of people who find profundities in every Star Wars and Harry Potter installment—but I really believe genre is generally antithetical to discovery, to the search for truth. Why? Because unless you break the rules of genre (and I love it when writers do—Jose Saramago is a great example), you have certain foregone conclusions. Most people find that sort of comforting; I don’t. I don’t care for most westerns, but one of my favorites is The Cowboys, a 1972 John Wayne film. Why? Because Wayne, obviously the star, gets shot in the back two-thirds of the way through the movie. You don’t expect that in a Western. Another is Robert Altman’s McCabe & Mrs. Miller. There simply isn’t enough time to describe all the ways that one went against the grain. By defying genre expectations, the creators are saying, “We’ve got secrets!” Because secrets keep the genres going! And going! It’s lonely. When I was first starting Entertaining Welsey Shaw, way back when dinosaurs roamed the earth and fire was newly discovered, I read somewhere, on either the internet or a stone tablet, a quote attributed to Toni Morrison†: If there’s a book that you want to read, but it hasn’t been written yet, write it. I liked that advice, and set out to do that. I was amazed no one had written the definitive ordinary-guy-meets-celebrity novel, a setup I thought was ripe. But agents and publishers aren’t so lofty-minded. They want stories that are very close to what they’ve already published, so they can see it that way. Despite Ms. Morrison’s advice, most people don’t like to see something they haven’t seen before. Nearly every agent and publisher I showed the novel to wanted to know, immediately, what the “comparables” were, meaning, what’s “like it.” Some websites even gave examples: Harry Potter, Twilight, The Hunger Games. Yeah, agents and marketers think far and deep. Okay, it’s hard to blame them. The business is tough, and most books, like most movies and most recordings these days, don’t make money. So they’re being very careful about what they publish. At the same time, being this reactionary often means missing the next big opportunity. Once upon a time Ms. Rowling couldn’t find anyone who would publish a 500 page book with all text and no pictures aimed at kids. It does sound absurd, doesn’t it? What smart money would pursue that? What all this means is fiction, particularly American fiction, is wedded to genre. It’s not as bad in other cultures. But I can’t help but feel sad when I see people reading predictable stuff over and over again. I can sort of understand why predictability is desirable—you want to know, when you invest your time, what you’re going to get. An old friend recently told me this is why she goes to Disney World again and again: you know how your vacation will turn out. You know what you’re going to see, how you’re going to react, what they’ll make you feel. Me, I love surprises. I’d rather try something new and not enjoy it. For one thing, all the things I do love were once new experiences for me, ones I was iffy about. For another, well, as I said, I love surprises, don’t like the predictable. When I go into an action hero flick, I know they’re going to succeed in their mission—blow up the big battle station or whatever—but there will be a big loss…probably the most lovable character will die. But nothing subversive will happen. I live for subversiveness. Art is created when the norms bump up against subversiveness and friction results. If we still weren’t shooting hero cowboys in the middle of the picture, we’d still be making Stagecoach. Nothing wrong with Stagecoach. There is something wrong with still making Stagecoaches in 2017. Daniel Ferreira, my protagonist in Entertaining Welsey Shaw, has secrets, and they come out in his writings too. At the point we join him in the story, however, no one is interested in them anymore. He had one break-out book, when he was fresh out of college, Since then no one has been interested in anything he’s had to say. So he’s turning out schlock for third-tier magazines and newspapers, a hired gun. That’s how Entertaining Welsey Shaw begins. You can read the rest of it, too, as it’s now out, available on Amazon, Barnes & Noble, Powells, and just about everywhere else they sell books (if you ask nicely). You can also either get it, or ask them to order it, at your local indie book store. In fact, there’s a list of such stores right here. Whatever method of delivery you choose, from drone to phone, thanks to the internet, it’s easy to get. And there’s currently a contest going on. Entertaining Welsey Shaw is about a haphazard encounter between our Everyman Daniel and a famous, elusive celebrity. Tell me an interesting encounter you’ve had with a celebrity, either traveling incognito or in full view. The best story (judged by me) wins a free hardback copy of the novel–a $27.99 value as they say. The link is here—https://entertainingwelseyshaw.com/2017/03/24/giveaway-get-a-free-copy-of-entertaining-welsey-shaw-for-entertaining-the-rest-of-us-with-your-story/. Good luck! And remember, genre is fun but surprises are better. † I always say “attributed” because there are a lot of quotes that were not said by people who are famous for saying them, even well-known quotes. Here’s the deal: I’m giving away a free copy of Entertaining Welsey Shaw to the reader who sends me the best story of a celebrity encounter they’ve had. Which celebrity or celebrities have you met and how did it go? Give me a great meeting and I’ll send you a copy of the book, in handsome hardback, 300 pages. Just submit your story in the comments below, and have fun with it! Entertaining Welsey Shaw goes on sale March 28th. The usual outlets–Amazon, B&N, your indie bookstore (though you may have to request it). Other editions, including the ever-popular ebook, are coming at a later date. And I thought I’d take this moment to announce, there will be a sequel. I’m generally not a fan of anything with a “2,” explicit or implied, after the title. (Actually the working title for this opus is Ravishing Welsey Shaw), but honestly this idea occurred to me one night when I just couldn’t get to sleep and I grew so excited thinking about it I got out of bed right there and started making notes. But back to the current book. It was a long birthing process and I can honestly say I learned more writing it than I have doing any other single thing in my whole life. But as hard as writing the novel was, there was something even harder to write, and it’s the hardest thing to write for any book, so if you’ve never written anything for publication, or you are in the process of finishing up a work now, you should pay attention here: The hardest aspect of the whole production is writing the blurb, the thing that goes on the flap, on the back, on the retailer and etailer pages. I can tell you exactly how many drafts of Entertaining Welsey Shaw I wrote: eight. But I can’t tell you how many times I revised the blurb copy. I may revise it still. I may be revising it right now, while you’re reading this. Somehow the summary, even more than the book itself, never feels like it’s good enough. Think about it: You have to sell your book, and sell it amidst the noise of all the other blurbs, ads, and assorted commercial copy that an average person sees on an average day. You have to tempt with surprises, but not give too much away. Most of all you have to (try to) avoid the cliches that are in most of the other book blurbs out there—I mean, seriously, read most blurbs out there. “…That’s when Jenny learns a secret that changes her life forever!” Stuff like that never makes me want to pick up a book. In fact, the best books out there, the best writers out there, can’t really be summed up. So instead those authors get a very basic blurb on the flap, one that sells them by name or reputation. The back is adorned with review excerpts from Big Boys like The New York Times and The Economist. But I’m not a big boy, so I can’t plaster praise from Michiko Kakutani on the back of Entertaining Welsey Shaw. But how do you sum up Netherland, Joseph O’Neill’s astonishingly lithe and rich portrait of New York denizens unmoored and adrift in the aftermath of September 11th? (And if you thought you’d never read another post-September 11th novel, I highly, highly recommend this one; it’s not what you think, I can assure you.) The same is true of his follow up, The Dog, which a number of the critics didn’t like but I did. How do you sum up the complex stories of Alice Munro or Deborah Eisenberg? That’s the paradox of book jackets: They’re so vitally important, but they tell very little about what’s really inside. Sort of like movie trailers. Yet, face it, we so often decide to plunk down $15, whether for a movie or a book, based on the advertisement. So many ways to approach the blurb. Do I give an objective, overseeing view to the novel? Approach it by placing the reader inside the action (“Imagine that you met…” that sort of thing.) Tell lots of detail? Entertaining Welsey Shaw, like most upmarket novels, has lots of themes. Do I just pick one and highlight it or try to give an indication of the breadth? If I do the former, I may miss people who would be interested in many of the other aspects; if I do the latter, the resulting copy is sprawling and often confusing. When writing your novel you can take infinite length, but you only have about 100 words to sell it. They have to be the right 100 words. Are they? I’m still not sure. I learned a lot about writing fiction from Entertaining Welsey Shaw. I don’t know if I learned anything about the difficult art of blurb writing. Anyway, March 28th. Don’t go to Amazon and order it before that time even if you are able to, or you will get the wrong item. I’ve tried to tell them and they haven’t listened. Don’t blame me. Barnes and Nobel has it right, bully for them.